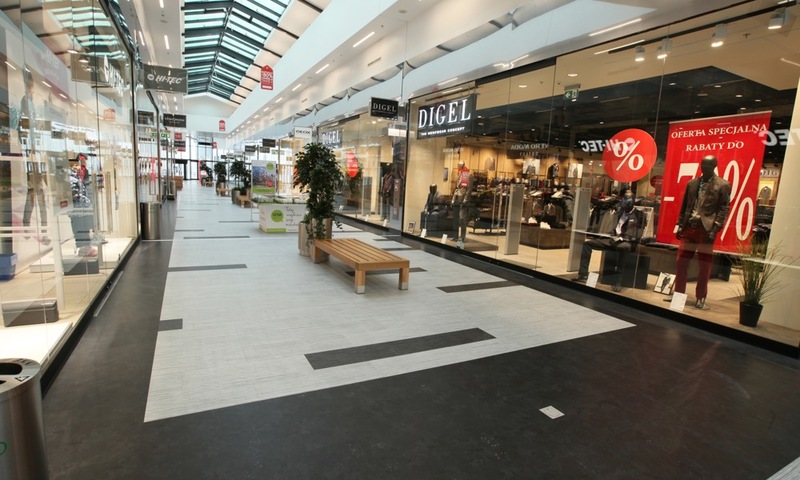 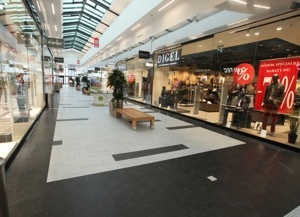 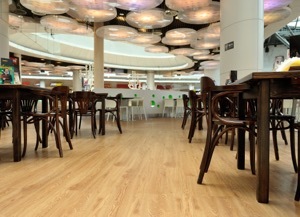 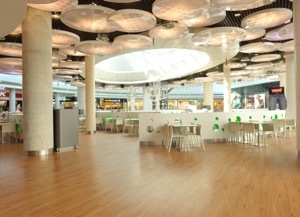 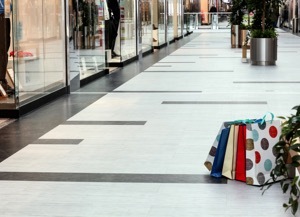 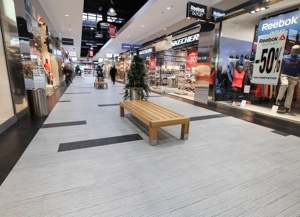 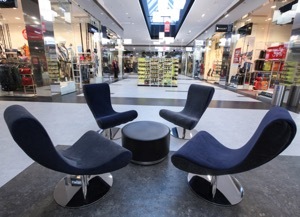 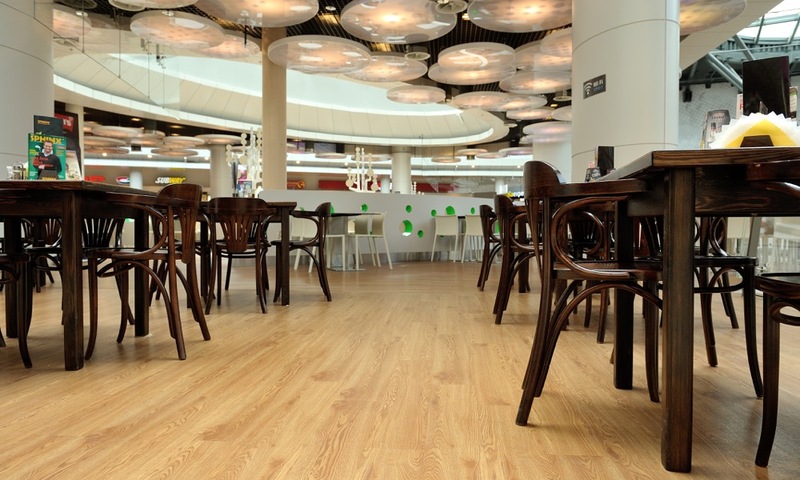 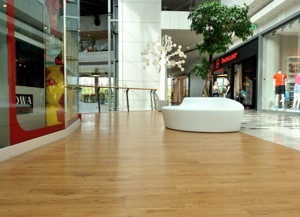 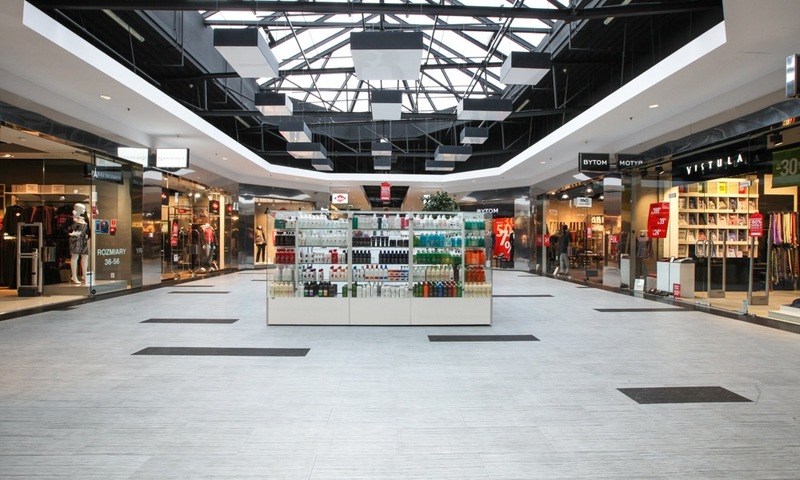 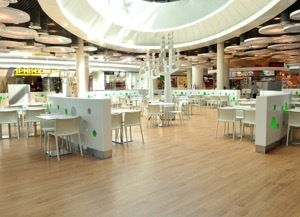 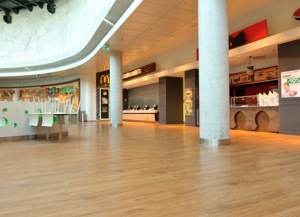 Polyflor ranges offer more than just an exciting fashion friendly design suitable for any shopping mall. 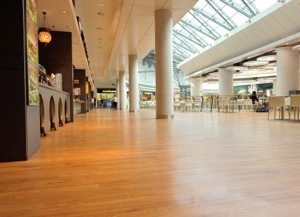 They also offer both ease of maintenance being polish free for life as well as hardwearing product longevity. 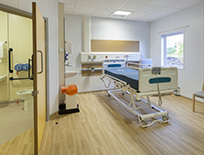 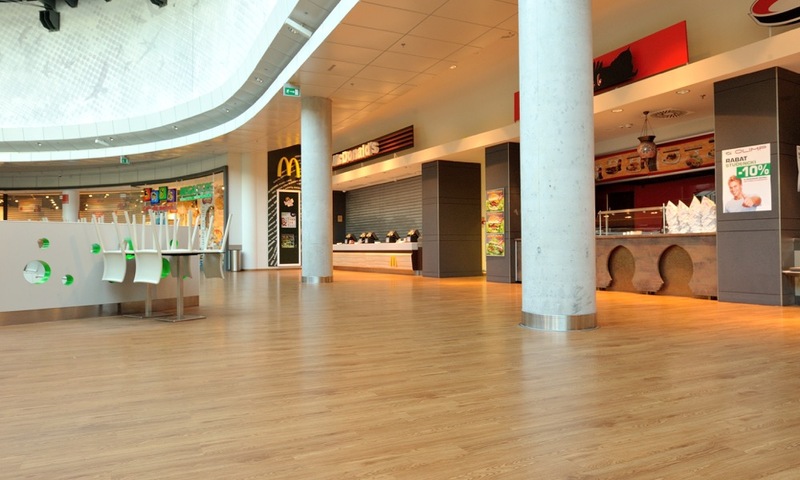 In addition to those great features Polyflor products also provide greater underfoot comfort than stone and tile options as well as greater acoustic benefits. 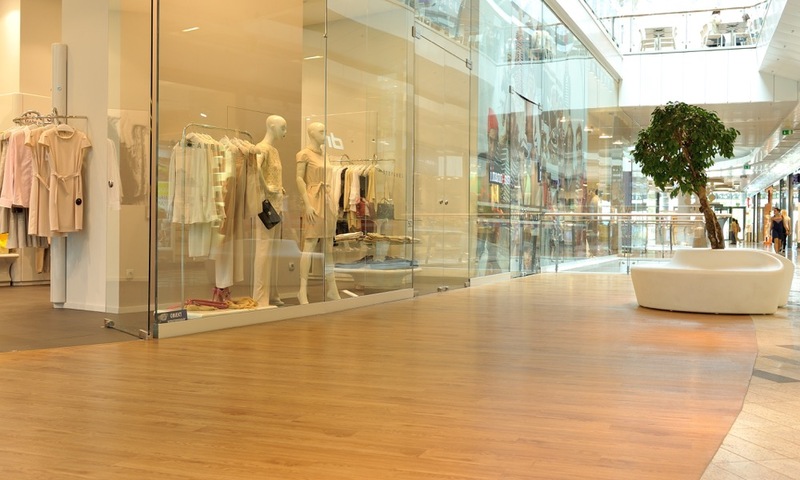 These are major considerations for any shopping mall. 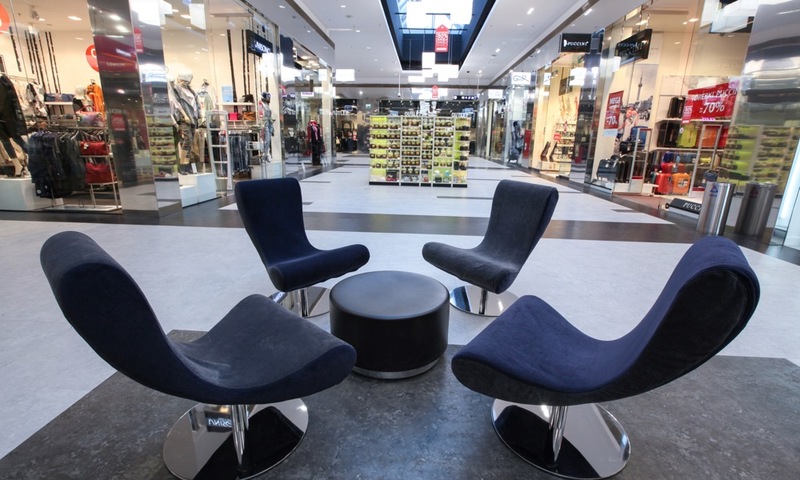 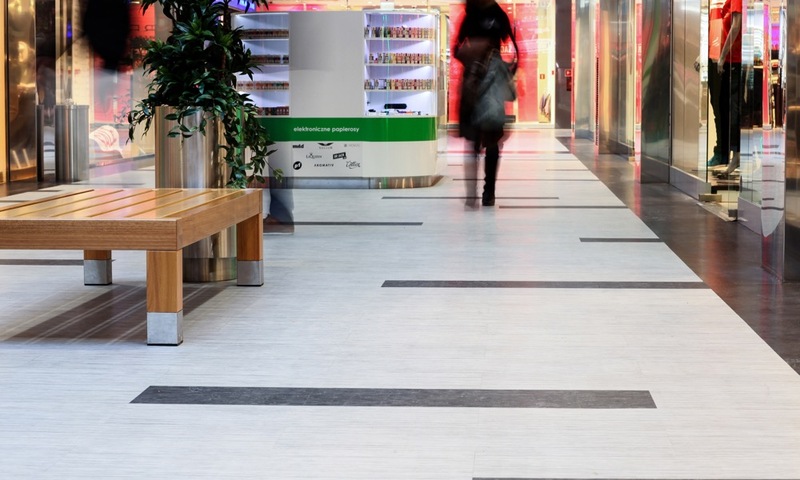 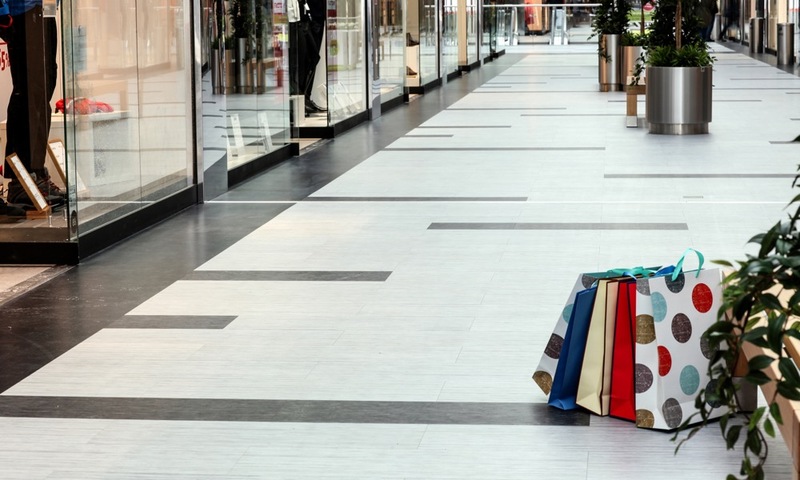 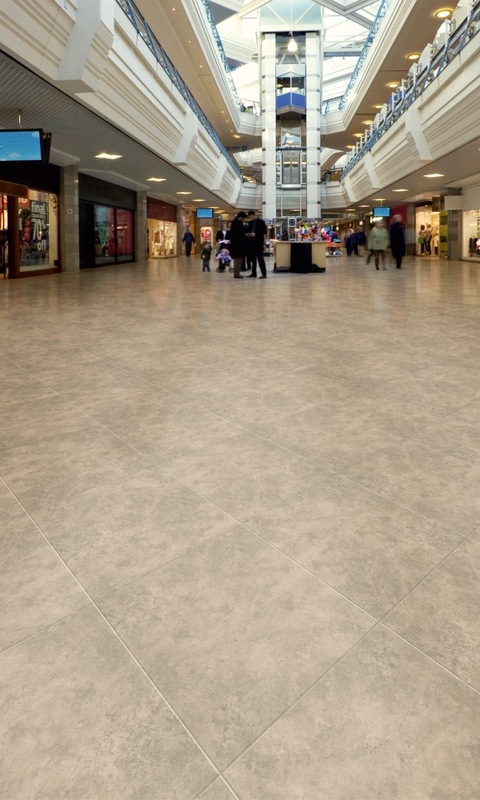 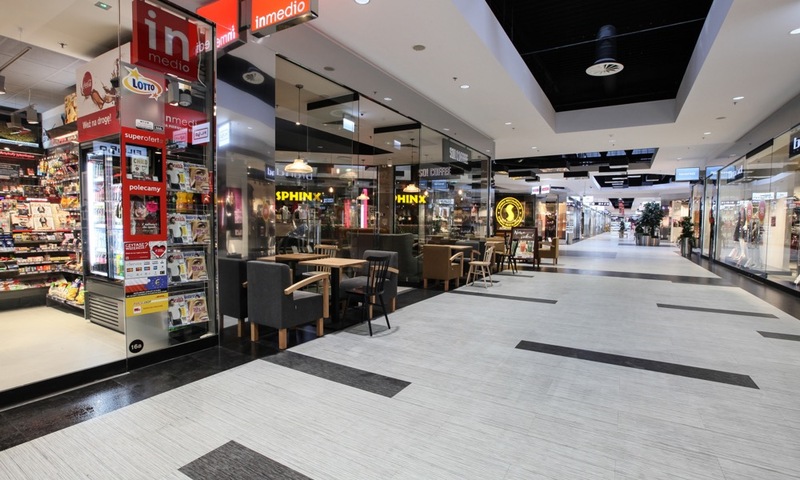 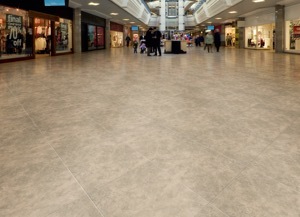 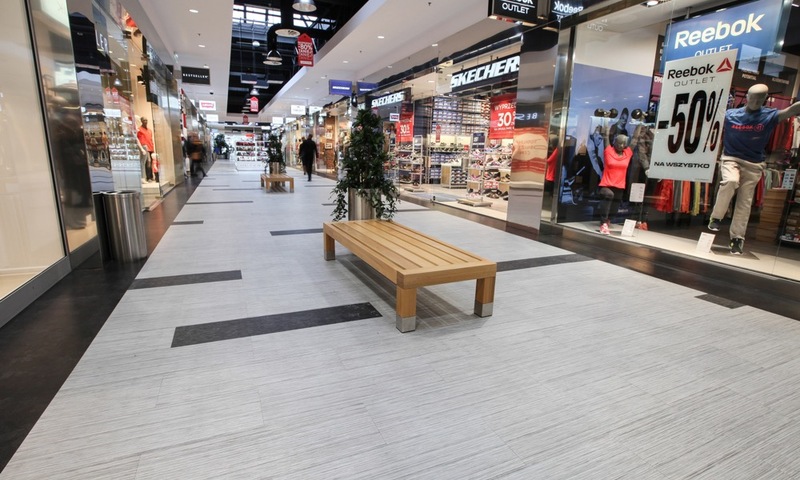 Polyflor products are less disruptive to replace when it comes to a new look for the mall and are also more cost effective than other heavy commercial flooring options to purchase, install and maintain. 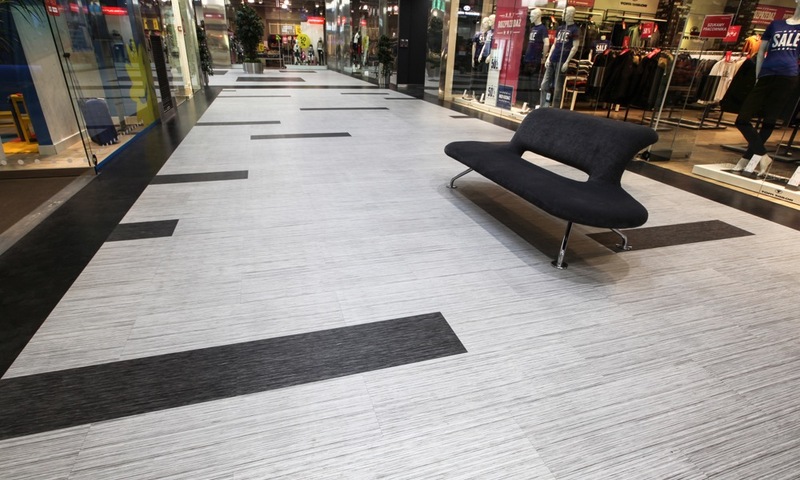 Slip resistance is an important benefit and Polyflor’s ranges also offer far greater protection than shiny stone and tile alternatives especially when wet from rainwater or melting snow carried in on shoes and clothing. 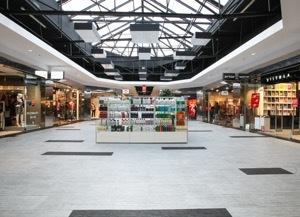 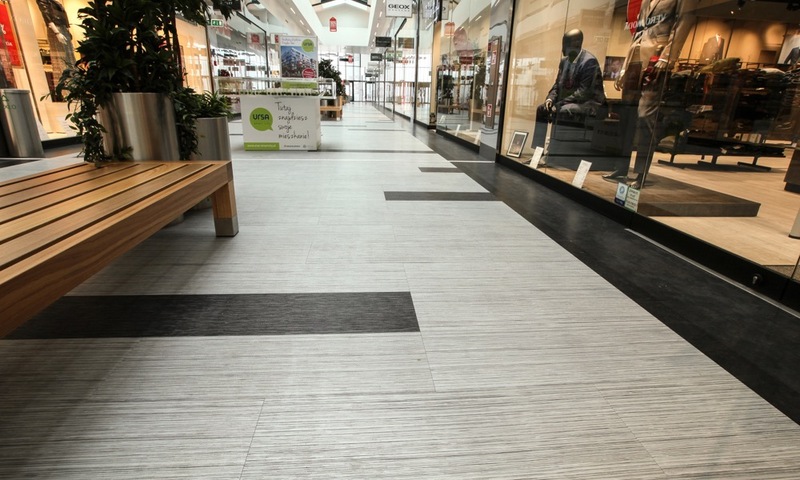 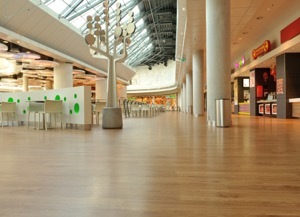 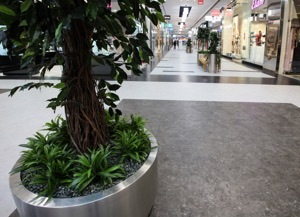 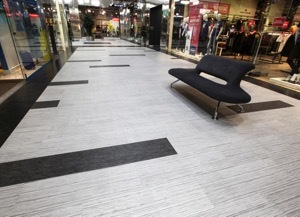 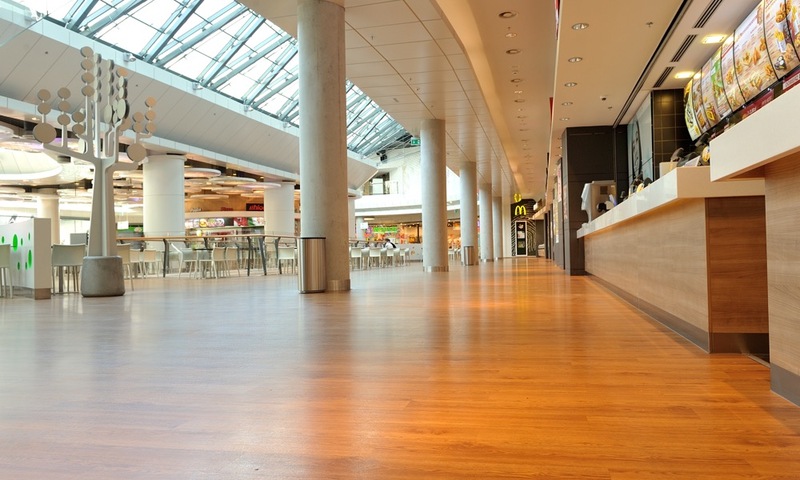 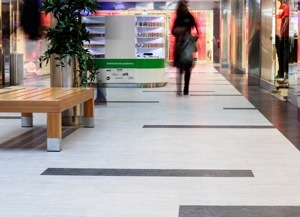 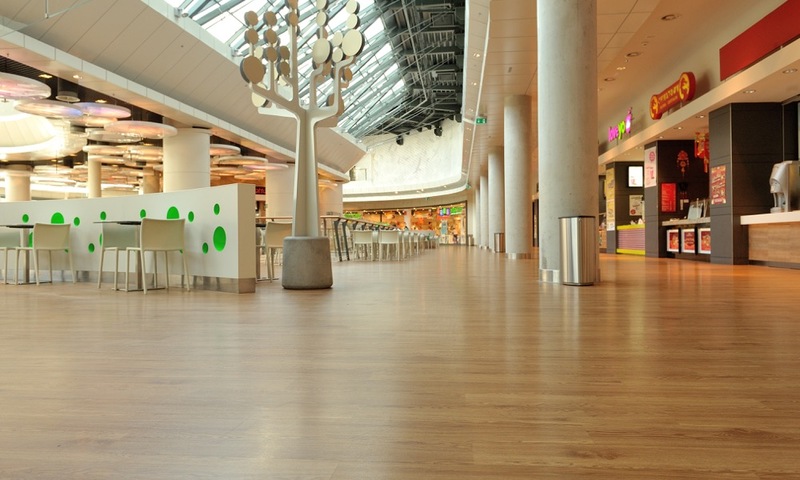 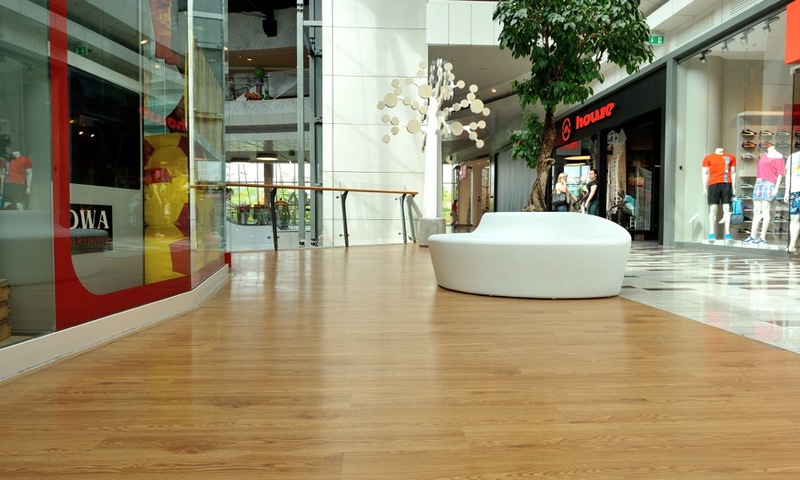 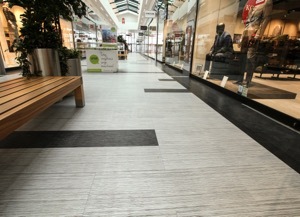 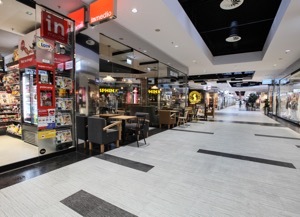 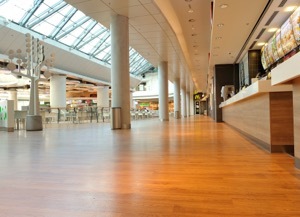 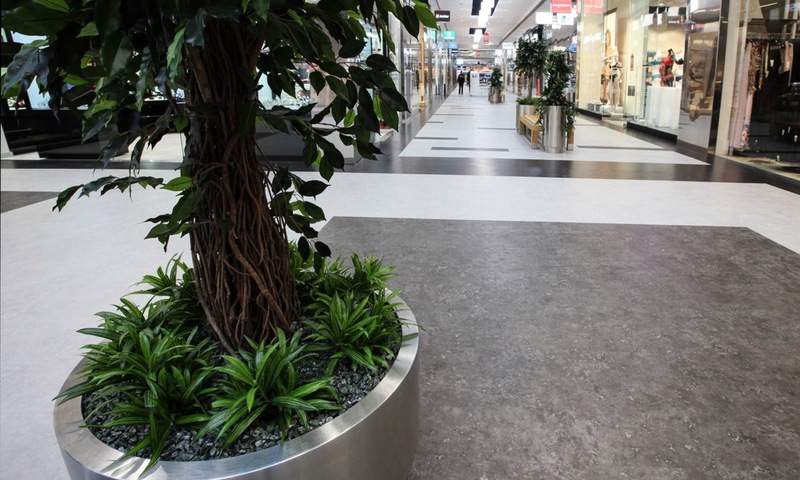 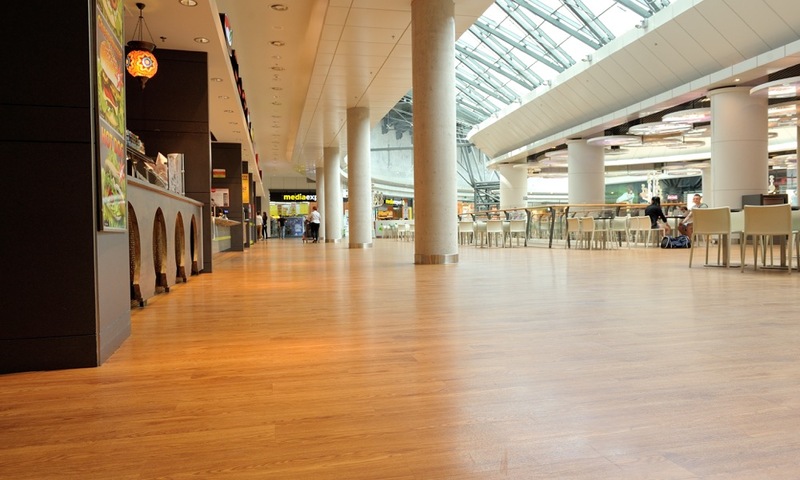 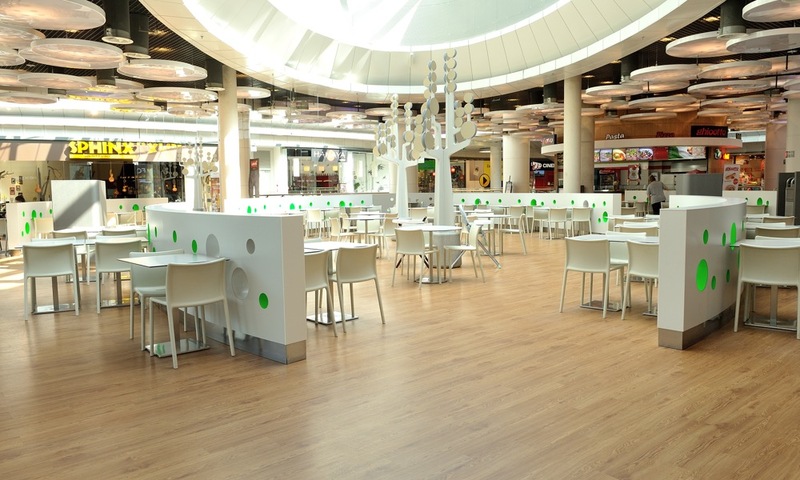 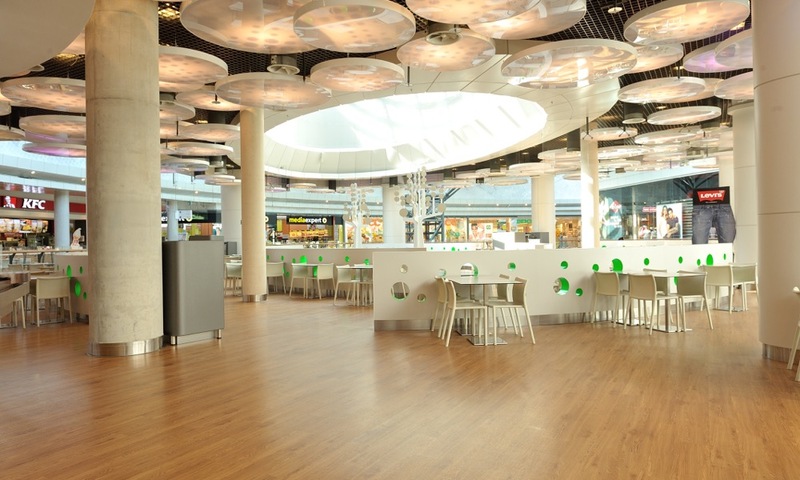 These are just a few of the benefits that a modern vinyl floorcovering option from Polyflor can bring to your mall.